Lauren and Travis are a giggly and sweet couple, who complement each other perfectly. Lauren is a firecracker, with bold and colorful tattoos. She’s fierce and loyal, especially when it comes to Travis. Travis on the other hand is a soft spoken gentleman. He rocks a sweet southern drawl and is the perfect match to Lauren’s fire. Lauren and Travis both love to hike, to geek out over beer and to love on all the pups. My pitbull, Leia, gave her seal of approval as soon as they met (you can totally tell by the way she rolled over on to her back and snuggled into their laps). 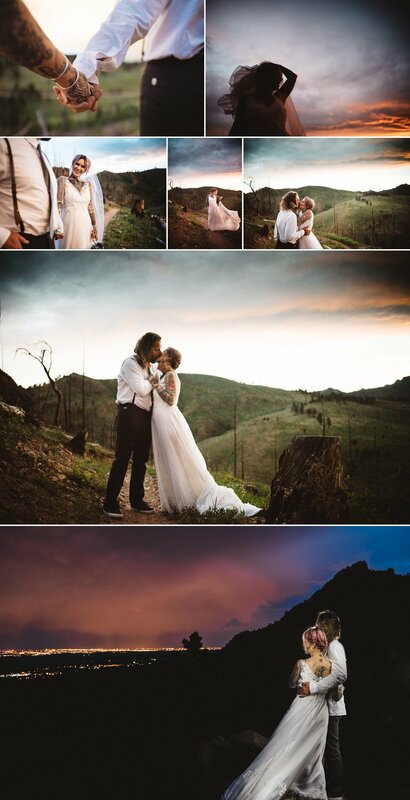 Their session was the perfect mix of mountains, love and art. Between Lauren’s incredible ink and the unbelievable sunset, it was a photographer’s dream. 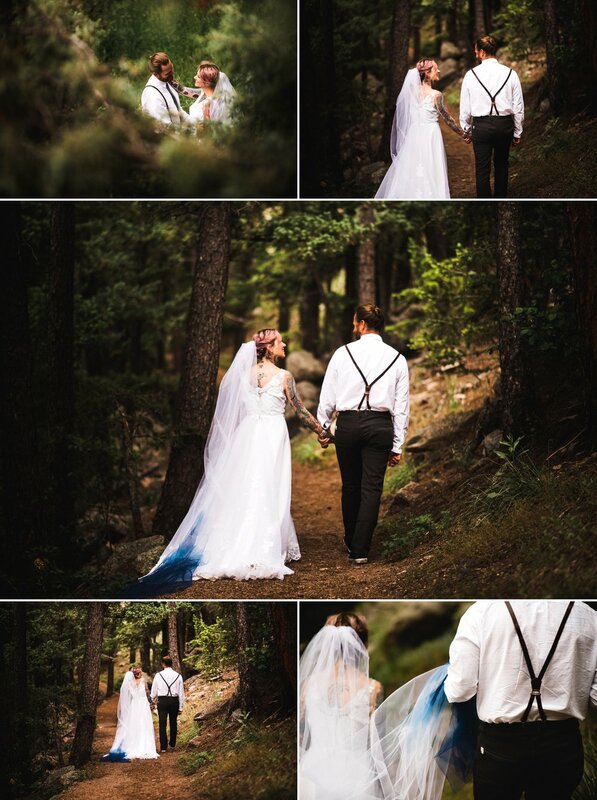 Katie is a Denver and Boulder Wedding Photographer. She specializes in modern, free spirited couples. If you’re interested in having her as your wedding photographer, get in touch today!